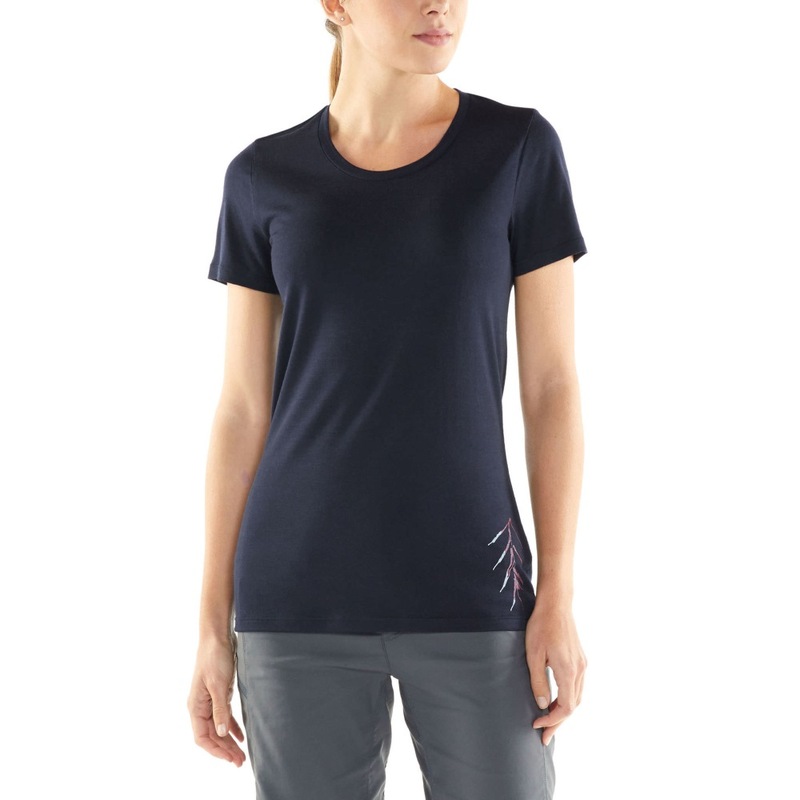 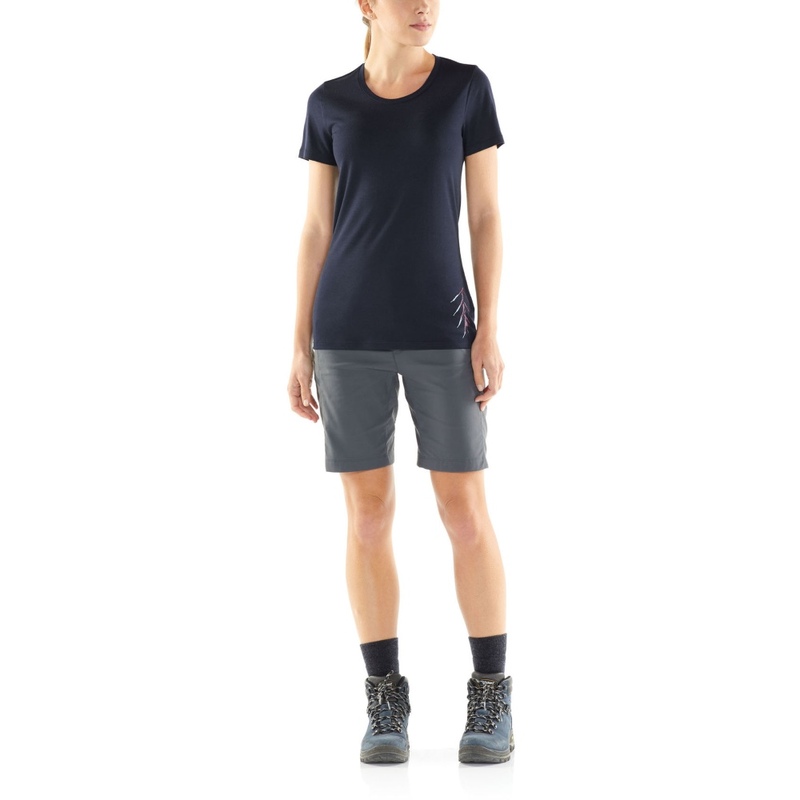 When it comes to versatility and year-round comfort, the Icebreaker Women's Tech Lite Short Sleeve Low Crewe Panax Top is the ultimate go-to T-shirt. 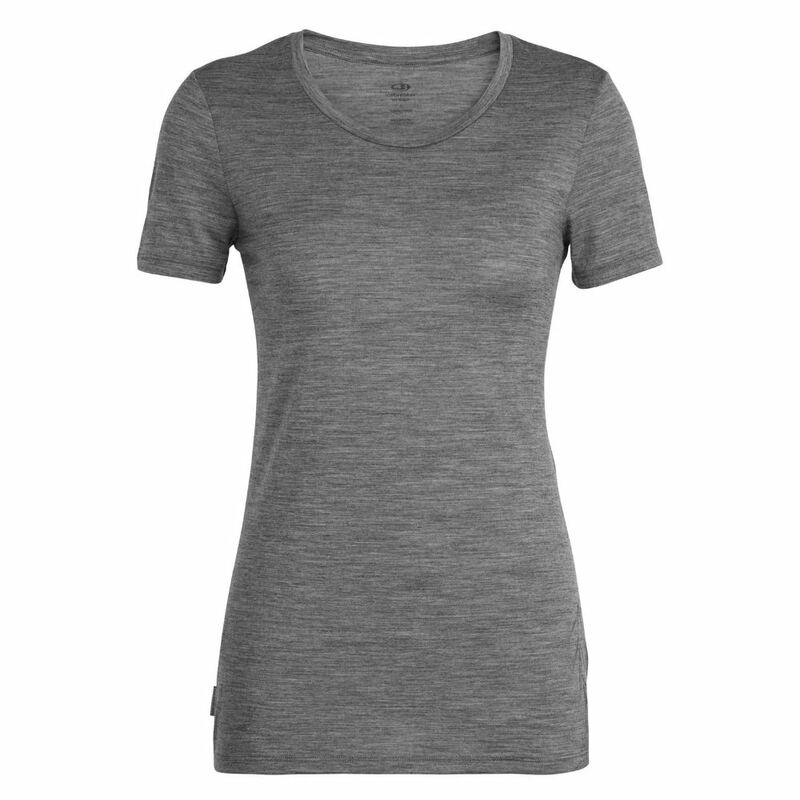 It offers a great fit and feel, so you can forget what you're wearing and focus on whatever your day brings, from everyday wear to adventures further afield. 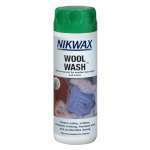 Made with corespun fabric, it features merino wool fibre wrapped around a nylon core for enhanced durability and next-to-skin softness. 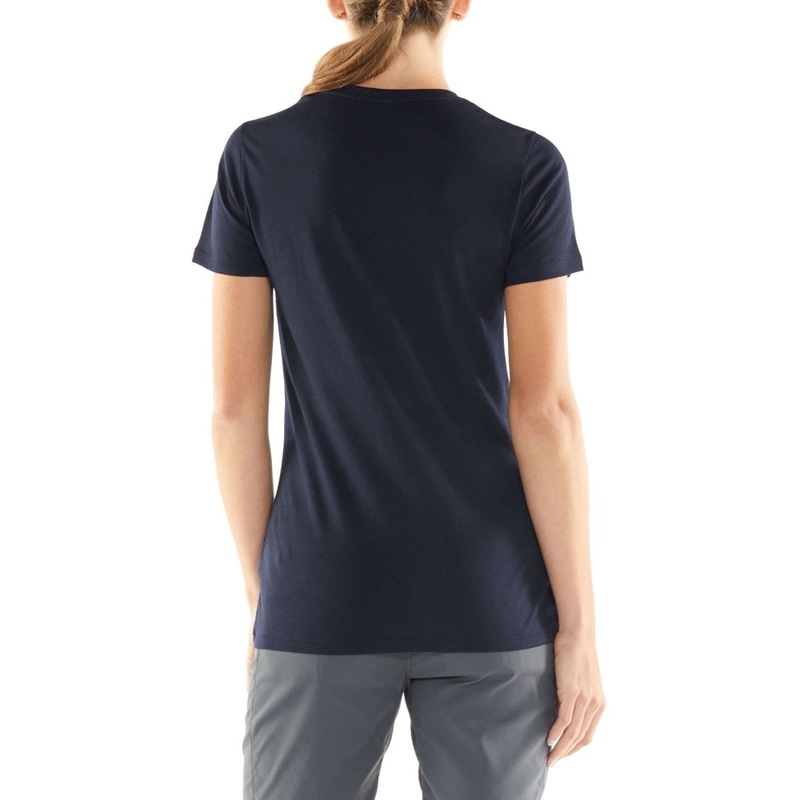 The soft, open neck is feminine and comfortable and the offset shoulder seams prevent rubbing when you're carrying a pack on the trail or on your travels. 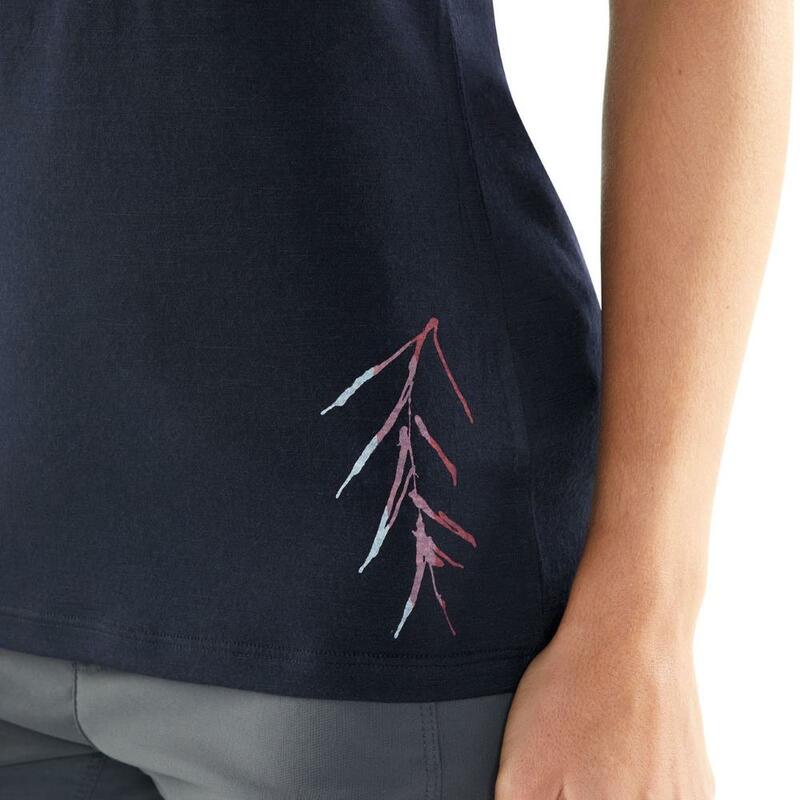 The subtle graphic element by Stu Forsyth adds a visual nod to nature.